On Monday night, it was revealed that a series of text messages exchanged between Brett Kavanaugh‘s former Yale friends suggest the Supreme Court nominee tried to refute Deborah Ramirez‘s sexual assault allegation before it became public. According to NBC News, Kerry Berchem and Karen Yarasavage — who were reportedly mutual friends of Kavanaugh and Ramirez — hint that the judge attempted to speak to former classmates about the claim from Ramirez, his second accuser, before it was published in an article from The New Yorker. One text shows Yarasavage revealing Kavanaugh asked her to defend him on the record. The messages include phrases like “Brett’s guy” and “Brett’s team.” Ramirez and Kavanaugh also reportedly saw each other at a wedding in 1997, ten years after they graduated from college. The FBI is currently investigating multiple sexual assault allegations against Kavanaugh ahead of his Supreme Court nomination and following his and Dr. Christine Blasey Ford‘s testimonies before the Senate Judiciary Committee on Thursday. There has been much criticism, especially from Democrats, about the inquiry because of its limited scope. Only four witnesses are reportedly being interviewed as part of the probe, which is scheduled to be finished by Friday. 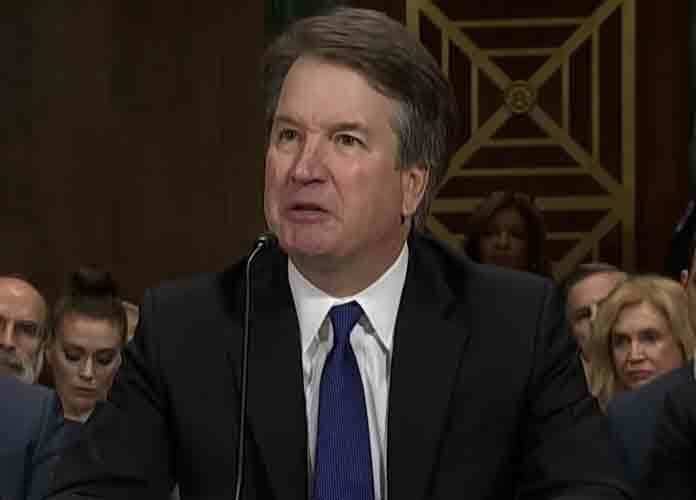 Further complicating matters are revelations that Kavanaugh may have lied about many things in his testimony aside from the assault claim itself. Several former high school or college classmates of the judge have refuted his claims about his drinking habits and his virginity. On Sept. 25 — just two days after Ramirez’s claims went public — Kavanaugh told Republican Judiciary Committee staffers that Ramirez was the one who had been “calling around to classmates trying to see if they remembered it,” according to transcripts from the interview. Kavanaugh also said in that interview that what he accused Ramirez of didn’t “sound fair” and that it seemed like an “orchestrated hit” designed to ruin him. According to NBC News, Berchem submitted to the FBI a memo detailing her communications with Yarasavage, and also contacted one of her state’s lawmakers: Connecticut Sen. Richard Blumenthal, a Democrat who is a member of the Judiciary Committee.